Get in Touch! (888) 850-3339 or Request a free quote. Will IP cameras replace analog cameras? A video encoder makes it possible for an analog CCTV system to migrate to a network video system. It enables users to gain the benefits of network video without having to discard existing analog equipment such as analog CCTV cameras and coaxial cabling. A video encoder connects to an analog video camera via a coaxial cable and converts analog video signals into digital video streams that are then sent over a wired or wireless IP-based network (e.g., LAN, WLAN or Internet). To view and/or record the digital video, computer monitors and PCs can be used instead of DVRs or VCRs and analog monitors. 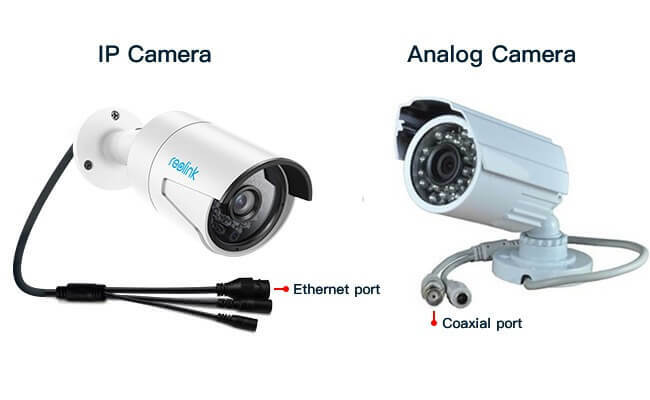 By using video encoders, analog video cameras of all types, such as fixed, indoor/outdoor, dome, pan/tilt/zoom, and specialty cameras such as highly sensitive thermal cameras and microscope cameras can be remotely accessed and controlled over an IP network. A video encoder also offers other benefits such as event management and intelligent video functionalities, as well as advanced security measures. In addition, it provides scalability and ease of integration with other security systems. A one-channel, standalone video encoder with audio, I/O (input/output) connectors for controlling external devices such as sensors and alarms, serial ports (RS-422/485) for controlling PTZ analog cameras and Ethernet connection with Power over Ethernet support. Switching to an IP Video server rather than replacing with another DVR allows you to keep the CCTV Security Cameras and cabling so that you can change over to IP Security Cameras economically when they begin to fail. IP cameras usually require a software license per camera by using encoder’s only one license per encoder or one license four channels depending on the encoder, saving you the cost of licensing each camera as you would for IP Security Cameras. A single Ethernet port serves all single, four or sixteen channel encoders depending on the size of the encoder. The point to remember is that the DVR usually fails and needs replaced before your analog CCTV security cameras. You can also look at a Video IP Hybrid System that allows analog CCTV Cameras as well as IP security cameras. This allows you to keep the analog CCTV Security Cameras and add new IP Cameras when you are adding to your existing system. This provides you an avenue to eventually convert to a complete IP Camera System over time without all the upfront cost of a complete system. ©2019 Aclarity Systems. All rights reserved.